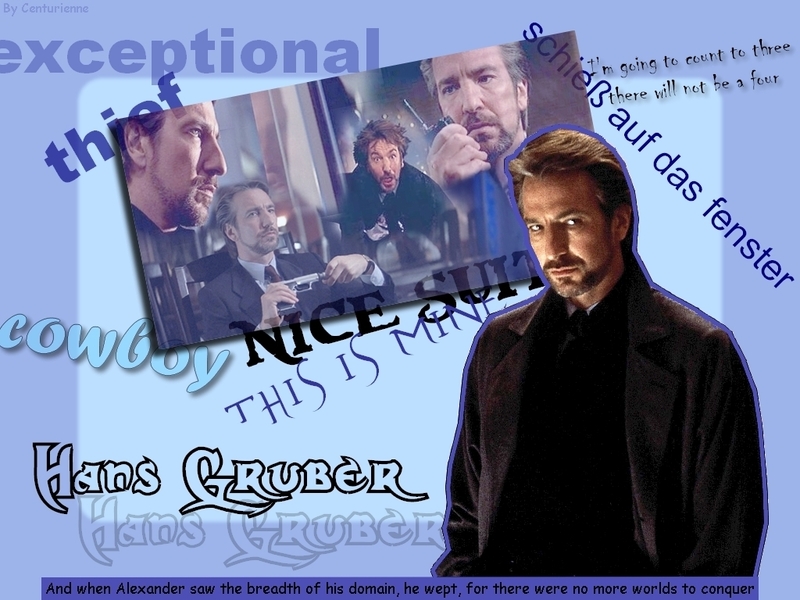 Hans Gruber. . HD Wallpaper and background images in the Alan Rickman club tagged: alan rickman die hard hans gruber. This Alan Rickman wallpaper contains anime, comic book, manga, and cartoon. There might also be sign, poster, teksto, pisara, pahayagan, papel, magazine, tabloid, and rag. Hans - The sartorial master thief. Love him.